Sinuous, soft and familiar, the Blob S lamp furnishes with a strong luminous appeal and an irregular profile that recalls a natural shape. Exploiting the expressive qualities of plastic materials, the white moulded polyethylene diffuser envelops the light source entirely and emits a diffused and intense light. Available in the indoor and outdoor versions, as a table lamp, a wall lamp and a ceiling lamp, it can be used alone or in multiple compositions to achieve charming lighting scenes. Wall or ceiling lamp with diffused light. 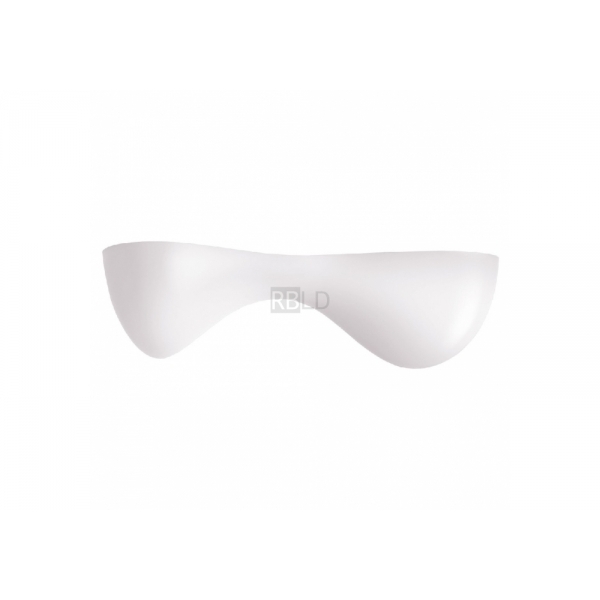 Rotational moulded polyethylene diffuser, white liquid coated metal mount and ceiling mounting plate.